Searching for Best 4K HDR Camcorders? 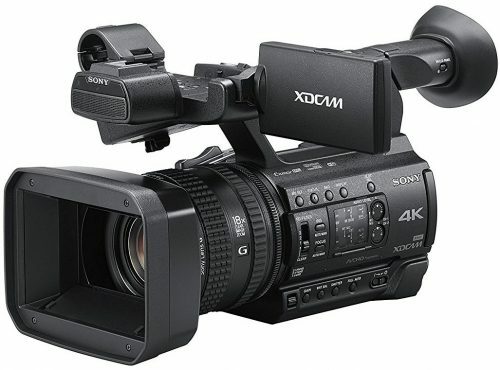 We have done in-depth research on the 4K camcorders over a wide price range that starts from $200 and goes up to $4000. Whatever your budget might be, We have picked the best options for you. As much as you invest in your camcorder, more features and quality of video recording you will get. Although anyone can own a professional camcorder, shooting a video at the full potential of the camera is best left to the hands of the pro. At this point, we can’t give you the camcorder tutorials. But we will surely help you out in choosing the best companion for you. Jumping from 1080p to 4K makes a lot of difference to the video quality. Most of the devices still not support the 4K playback, but it is the future of video in upcoming years. So it is better to invest in a 4K camcorder now. 4K is also great for filmers due to its flexibility like a larger area of filming, zooming, and stabilizing, etc. 4K videos have better details due to quadrature of the pixels as compared to the 1080p videos. So without wasting any time let’s see what we have got for you. 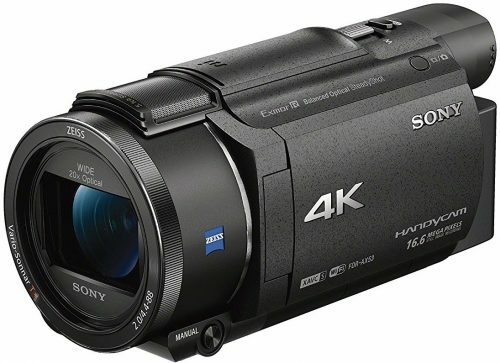 This list of the best 4K HDR camcorders is arranged in increasing order of price and features. Just set a budget and look for the options that will be best for you. 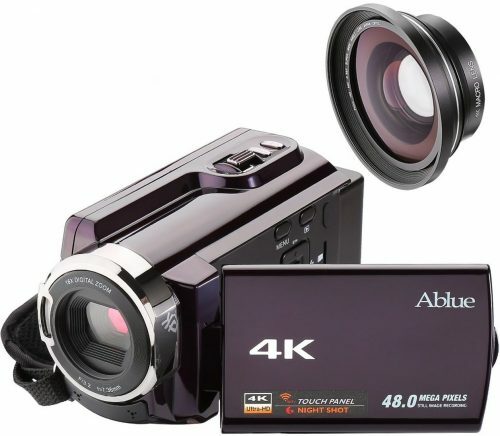 Ablue is an affordable 4K camcorder for the amateurs. It can shoot at 4K 2880 x 2160 pixels at 24 FPS. It features a 3.0-inch capacitive LCD with 270-degree rotation capability. It can be mounted on a standard tripod, and it supports up to 64 GB memory card of SD/SDHC/TF type. The package also includes wide angle lens to capture a broad view and macro lens to capture the incredible, meticulous landscape. It has built-in WiFi that allows connecting this camcorder to mobile or tablet using the NovaCam app. It is lightweight and easy to handle making it an excellent choice for amateurs. The battery will give you around 90 minutes of video recording and 150 minutes of photo taking. The accessories include AV/USB cable, HDMI cable, charger, battery, and wide angle lens and bags for camcorder and lens. 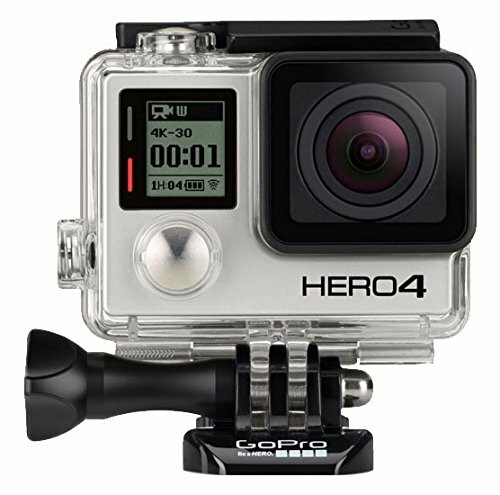 GoPro Hero4 is a professional 4K action camera. Being a key innovator in the action camera segment, It can deliver images and video way better than its competitors. Plus a 2X more powerful processor provides the slow motion at 240 frames per second. It could record at incredibly high-resolution 4K at 30 fps. That’s not it; it is waterproof up to 40 meters in water so that the fun won’t be limited to land. With 12 MP photos at 30 frames per second and improved audio, it is undoubtedly the best in its class. GoPro Hero4 has built-in WiFi and Bluetooth allowing you to connect to the GoPro App, Smart Remote and more. GoPro App makes your mobile or tablet into a live video remote for the camcorder. It has got customizations for the dark too. Whether you are recording in Milky Way or a Campfire, it allows you to shoot in ultra-low light with decent quality. This camcorder is a great to record fast moving objects like for sports. At around $400, you have the Sony Cam FDR-X3000. It lightweight and compact design makes it an excellent choice for the travelers. Record amazing 4K videos movies with less shakiness using the Balanced Optical SteadyShot. Exmor R CMOS sensor to shoot even in the dark with very subtle light. Zeiss Tessar lens used in the camera helps amateurs to capture the landscape with less distortion. Selecting and changing the features has never been that much more comfortable thanks to the new UI. All the settings are easily accessible via the LCD. The easy to use features for making movies comes very handily when you don’t have time to adjust the settings. The 4K time-lapse capture to shoot a series of stills of a scene over a period. With underwater housing FDR-X3000 is dustproof, shockproof and waterproof to 60 meters. Built-in WiFi and Bluetooth v4.1 to connect to mobiles and tablets. The battery lasts for around 155 minutes with live-view displayed. Make great movies in 4K with great audio via the built-in mic with wind noise reduction. The integrated stereo microphone capture sound in two-track stereo. Live stream all the adventures via the Ustream app. Around $500, there is no camcorder better than this one. 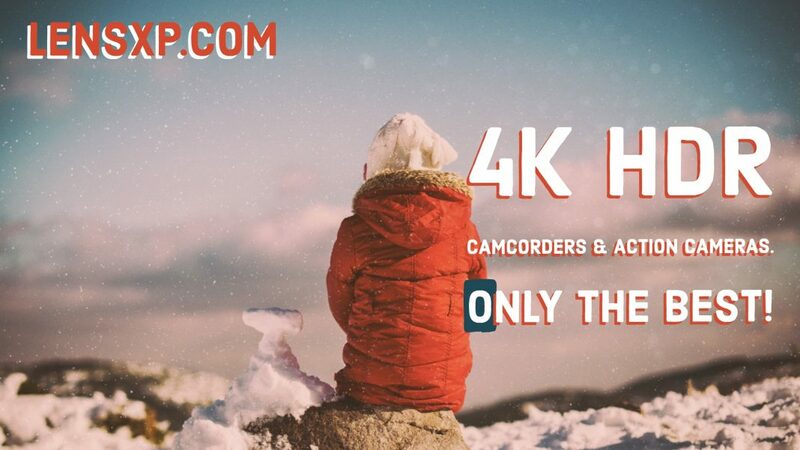 If you have a reasonable budget, there are many high 4K camcorders. 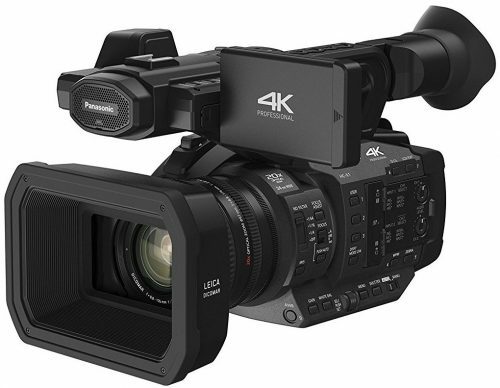 Panasonic HC-WXF991K could record ultra-sharp 4K Ultra HD recording. Plus an Electronic Viewfinder (EVF) emulates a semi-professional recording experience. It has LEICA Dicomar Lens optical 20x zoom and 5-axis hybrid ‘Optical image stabilization’ to get the precise video without shakiness. It has a dedicated HDR button that records video by combining two images taken with the different posture. The battery lasts for around 45 minutes with continuous video recording at 4K MP4. Plus, a 3-inch Wide LCD monitor helps to control the settings of the camcorder easily. You can even connect it to your mobile or tablet via the built-in WiFi and share videos and images quickly. 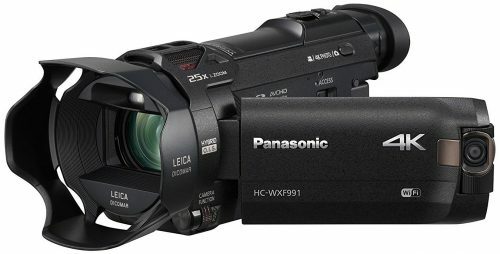 With Electronic Viewfinder and multi-scene twin camera, Panasonic HC-WXF991K is a great camcorder to record the 4K professional videos. Relive great moments with the captured videos that take you in the real world. Sony FDRAX53 Handycam is very compact and lightweight, making it ultra portable. With the upgraded software FDRAX53 has got some new cool features that will enhance shooting ease. A built-in microphone captures the surrounding sound. The possibilities and features are endless. It has an advanced lens and image sensor to shoot the ultra-clear 4K HDR video. The Balanced Optical SteadyShot for superior image stabilization and fast, intelligent AutoFocus (AF) to quickly shift focus from far to near objects. Have fun with your videos via the features like High-speed REC, Time-lapse capture to make an impressive movie. It uses Zeiss Vario-Sonnar T lens with 20x zoom to record the 4K video. It has built-in WiFi that can be used for live streaming and Multi-camera control. 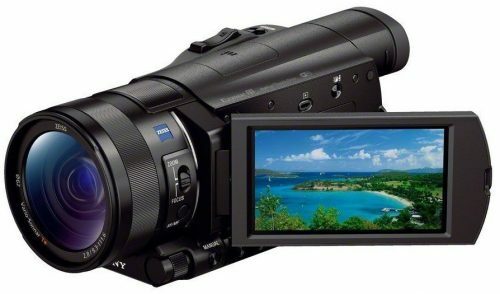 Just raise the budget above the $1500 mark, and you get the Sony FDR-AX100. Record your story and real-life experiences in 4K detail. 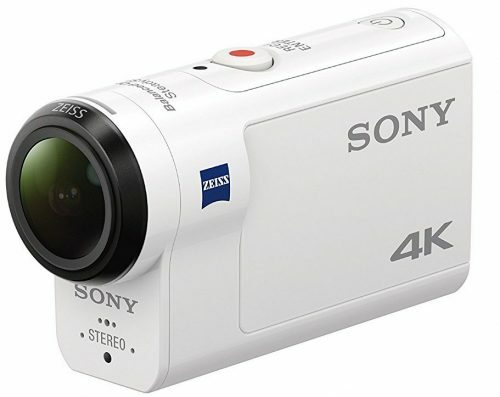 This 4K camcorder features Zeiss Vario-Sonnar T lens, Exmor R CMOS sensor, and advanced BIONZ X image processing engine to record more lifelike videos and images. Also, the intuitive controls to get more control over the camcorder to behold every brilliant detail. Wide-ranging accessories make it, even more, better choice, to give your photography a professional edge. It has 12x optical zoom and 160x digital zoom capability. A 3.5-inch Xtra Fine LCD with touch panels to easily control the settings. Built-in zoom microphone with auto wind noise reduction can record in 5.1 channel Dolby Digital, Dolby Digital Stereo, and MPEG-4 AAC format. As usual, it has built-in WiFi and NFC. You can also view the recorded videos on TV in full HD by connecting this camcorder to the TV via the bundled HDMI cable. The built-in filters to adjust the levels of light entering the lens to precisely control the shutter speed and aperture for more enormous creative possibilities. One-touch remote lets you change your smartphone or tablet into a viewfinder and remote control for the camcorder. Sony FDR-AX700 captures every subject with the realism of 4K HDR that’s possible with the fast Hybrid AF and other pro class components used in this camcorder. It will let you record what you exactly see with the 1.0–type stacked Exmor RS CMOS image sensor. It has an extraordinary accurate AF system with 273 phase-detection auto-focus can track fast-moving objects such as moving trains. Capture the cutting edge of reality with High Dynamic Range (HDR) 4K resolution. With its wide range of manual controls, it is ideal for advanced movie production. Ergonomic buttons and comfortable grip design make it convenient to use while moving. A high-resolution OLED viewfinder and extra excellent 3.5-inch LCD touch panel offer bright, vivid images. Whether you’re an advanced amateur or professional videographer, Canon XC15 won’t disappoint you. Canon XC15 UHD camcorder is a compete for the package to get you the high-quality 4K footage with true-to-life picture quality. With a compact and sleek body, the XC15 is ideal for handheld operations. 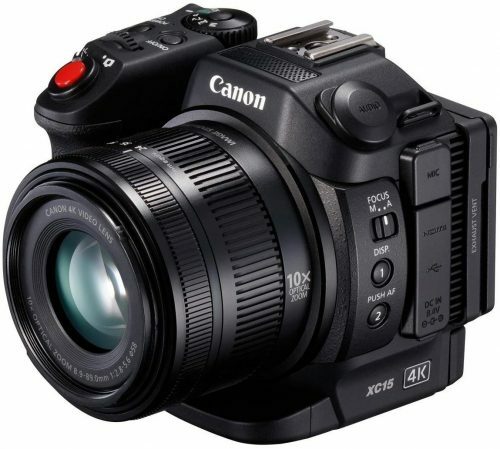 It has an advanced 12 MP CMOS image sensor and wide-angle 10x zoom lens with an image stabilizer that delivers sharpness and color to your recordings. The zoom ring rotates approximately 71-degree allowing for rapid manual zooming. 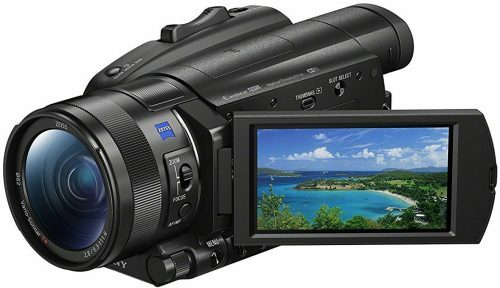 An integrated 3-inch LCD monitor provides XC15 camcorder with a bright, vivid-color display for shooting and playing the footage. It also features an inbuilt microphone in addition to detachable XLR module to capture the sound. Moreover, there is a separate jack for connecting a variety of compatible receivers. When used in conjunction with Canon accessories it brings virtual life to reality. Moving to the professional high-end camcorders that will cost you more than $3000. The HC-X1 could capture 4K videos at 60 frames per second using the 20X LEICA DICOMAR Lens. It has an advanced optical image stabilizer and 5-axis hybrid OIS. The HC-X1 comes with a 4-driver Lens system. Lens size and drive range for each of the four groups is suppressed to optimize image quality and zoom power. It is ideal for high-precision recording at 4K thanks to the 1-0-inch MOS sensor. It can be used to record super slow-motion recording. The dual SD card slots to record data uninterrupted by merely changing the SD cards. The maximum data that could be recorded on an SD card is 96 GB. It has triple manual rings for zoom, focus and Iris Control. It has plenty of advanced features and controls; we can’t mention all of them here. In one line, this is the best 4K HDR camcorder if you have a budget of $3000. Sony PXWZ150 is not only compact and lightweight and compact, but it also integrates advanced features to reduce the usage of add-on accessories. Everything you need is packed inside this 4K HDR camcorder. A built-in four position ND filter to filter out the light intensity. It has Built-in WiFi for live streaming and FTP wireless connection to cloud-based backup services. The camcorder can be easily controlled using a smartphone or tablet using WiFi remote. With its large battery bank, you will continuously record up to 400 minutes. To capture the clear sound, it has an omnidirectional stereo electret condenser microphone. Capture the moments in 4K HDR quality via the Sony G lens with 12x optical zoom. 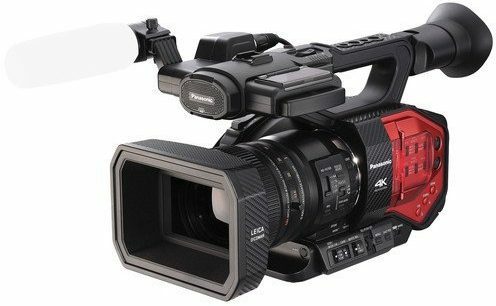 The last camcorder is Panasonic AG-DVX200. It is the world’s first 4/3-type camcorder to feature an integrated lens. The AG-DVX200 captures high quality video in cinematic DCI 4K 4096 x 2160 at 24p, UHD 4K 3840 x 2160 (60p / 30p / 24p), FHD (including 120 fps and 24p). Image quality in all formats is exceptional. The recording is made to high-speed SDXC cards. This camcorder offers the ability to record UHD and HD simultaneously. Its easiness to use and compact form factor permits easy single-handed operation. It is equipped with Leica Dicomar 13x optical zoom lens with three ring manual control over the lens function as seen in HC-X1 above. With the AG ROP app, you can wirelessly remote control and adjust the Panasonic AG-DVX200 camcorder. Undoubtedly, this camcorder is for the professionals; an amateur won’t be able to explore the advanced functions it offers to capture a cinematic quality video.